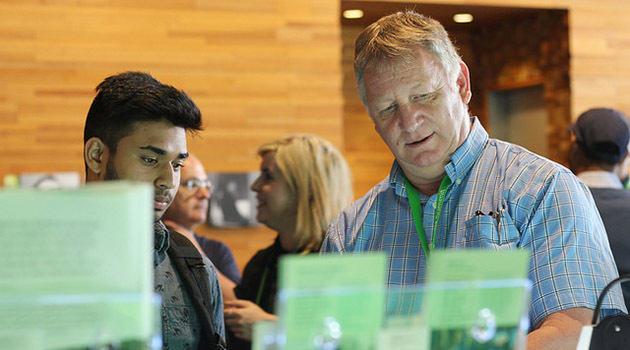 Robots, bluetooth muscle measurement, and hi-tech recruits — the UFV presence at the BC Technology Summit 2018 (BCTECH) provided employers, future students, and industry representatives a look at the future at UFV. The university had three displays at the third annual tech conference held at the Vancouver Trade and Convention centre May 14-16. Automation and Robotics program students Cody Shabbits and Markus Tonsaker displayed their Kuka robotic arm programming skills and simulated a craft brewery application for tech industry insiders. The pair were in high demand and fielded multiple requests for resumes throughout the conference. Josh Ancheta, fourth year Kinesiology student and Assistant Professor Dr. Gillian Hatfield demonstrated electromyography which measures muscle activation parameters using remote bluetooth and tablet technology. Josh demonstrated the equipment and answered questions about UFV and his program for high school students visiting throughout day two of the conference. “Mentorship has had a big impact during my four years at UFV, and I feel that with that experience I can now provide mentor input to students who are interested in the program or who want more information about the hands-on experience I have had,” Josh explains. Lin Long, an associate professor in the Physics department, and award winning student researcher, Nicole Schurink, demonstrated an innovative design aimed at assisting the honey extraction process in commercial bee hive operations. Golfam Ghafourifar, assistant professor in Chemistry, displayed a project model of complex proteins. She and student Kaeden Teindl explained a 3-D molecular model of a protein to visitors to the UFV booth. 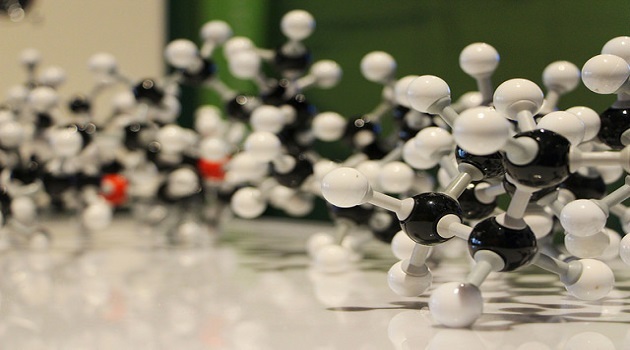 This model illustrated how a protein molecule can be large, folded, and complicated to study. Biochemical studies, including those on proteins, provide information on how diseases and proteins are used as indicators for diagnosis. 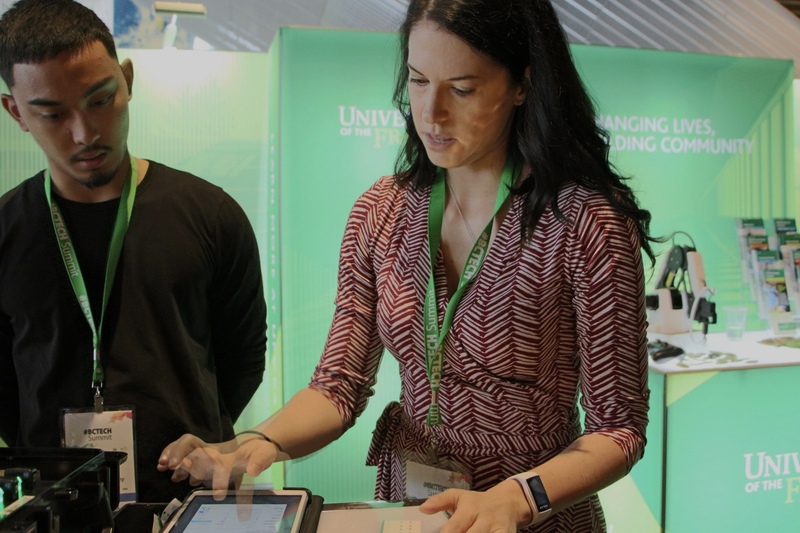 In the same display area, some of the nearly 6000 visitors to BCTECH took turns controlling a miniature robotic arm and trying to retrieve UFV souvenirs – an interactive education on the operation of leading edge equipment. The BCTECH Summit was the largest technology conference in Western Canada, and showcased the province’s growing tech and innovation sectors.